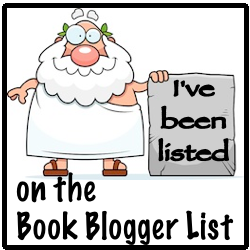 Today, I've teamed up with a group of bloggers for the Danica Davidson Minecrafters Blog Tour. Over the next few weeks, fellow bloggers will be talking about her Minecraft books for middle grade readers. There will be guest posts, interviews, reviews, and much more. Check out Andrea's post for more info and a collection of all the participants' posts! Danica has graciously provided a guest post on the craft of storytelling and I have a review for the first book in the Overworld adventures. This was such a fun read! While my nephews are huge fans of Minecraft and I worked with teens as a young adult librarian, I really didn't have much understanding of world prior to picking up this book. When I received the invitation to join in on the blog tour, I thought it would be a perfect opportunity to explore what Minecraft was about considering I have three kids of my own who will probably one day be really into it! This book is a great option for any reluctant or struggling readers in your life. The chapters are fairly short and overwhelmingly end on tense or cliffhanger situations that draw you towards continuing on with the story. The story itself is very fast-paced and a great introduction to the Minecraft world, especially given the portal aspect of a character from the game becoming friends with a human in our world. This friendship allows the story to begin delving into tough topics such as bullying, which can speak volumes for the children reading because it's happening within this fantastical place that they enjoy visiting. It was so uplifting to see such positive messages that can then have real world application. I am so thrilled that I was given the opportunity to read this book and look forward to continuing on with the series. It is definitely recommended for anyone interested in Minecraft or if you're just looking for a great adventure story with fantastic characters! The craft of storytelling works differently for each writer. When I sit down to write, I usually have an idea of where I’m going with it. At the very least, I will have what I call “the skeleton of the house,” with the house being the story. I just need to fill in the details. I’ll break down the process I used for my middle grade novel Escape from the Overworld as an example. First I came up with a pitch that was a few paragraphs long and covered the basic plot points of the story. I had come up with this first so that the publisher could see the beginning, middle, end, and some details about characters and setting. My idea was that there would be an 11-year-old boy named Stevie who lived in the Minecraft world, but he’d find a portal to Earth and befriend a girl his same age named Maison, who was smart and creative but having trouble fitting in at school. I wanted to make a story that would appeal to both Minecraft fans and kids who just enjoy a good adventure story that also includes some real world issues, like bullying. When the publisher said they wanted it, I spent about a week thinking about little else except for this story. I read kids’ books and stories I had written at age eleven to get into the right voice for my eleven-year-old protagonist. Some important things I knew I had to set up included: conflict close to the beginning; personal characters with their own quirks and issues; a buildup of the plot; and a dilemma that the characters needed to face head-on, using skills they didn’t believe they had but we the reader knew they did. They are able to overcome their challenges and grow as characters. In stories like this, I want to see the character on the last page as a better person than the character on the first page. When I started on my rough draft, I made myself write at least 2,000 words a day. If I were struggling, I got through the scene I knew I needed to get through and told myself I’d revise later. If the words were going well on a day, I would write beyond 2,000 words. Some days were better than others, and this way I got my rough draft written in one week. I gave it to some friends who were also Minecraft fans to see what they thought. When they gave me their edits back, this had also given me time to step away from the project so I could look at it with fresh eyes. Using their notes and reading over it myself again, I revised the shakier parts and got the story to flow better. Escape from the Overworld has since turned into two series. 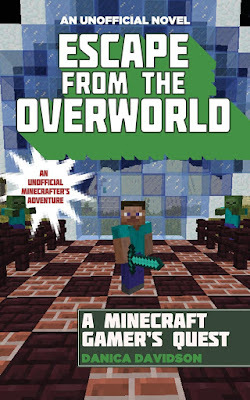 The first series consists of Escape from the Overworld, Attack on the Overworld, The Rise of Herobrine, Down into the Nether, The Armies of Herobrine and Battle with the Wither, and they’re coming out as a box set November 7. On that same day, Adventure Against the Endermen, the first book in my spinoff series (which will also consist of six books) comes out. It will have the same main characters, but different villains and adventures. While the books and the world within them have expanded over time, the basic premise I use for crafting each book has remained essentially the same. 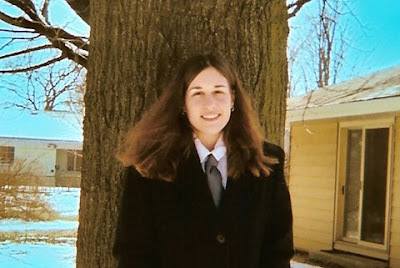 Danica is the author of the completed six book Overworld Adventure series that starts with Escape from the Overworld. Her books have been called “EXCITING” by Forbes, “RECOMMENDED READING” by School Library Journal, and have been spotlighted by NPR, Sci Fi Magazine, Barnes & Noble Kids Blog, MTV, and other publications. Escape from the Overworld and Attack on the Overworld were also both selected by the prestigious Scholastic Book Fair for second through sixth graders. Her non-fiction articles have appeared at Publishers Weekly, Ms. Magazine, MTV, CNN, Anime Insider, Booklist, Graphic Novel Reporter, iF Magazine, and many more. 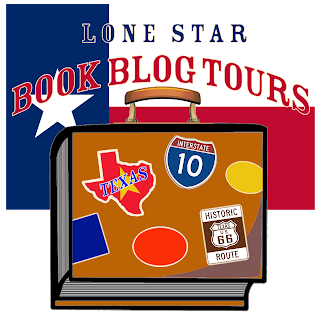 I hope you enjoyed this feature and have a chance to check out the other blog stops! 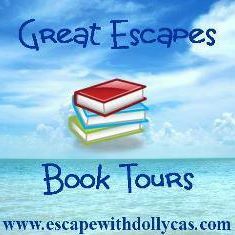 Many thanks to Danica, Sky Pony Press, and Andrea from Little Red Reviewer for putting this blog tour together!